Braves of the Six Flowers is about six dudes who have flower tattoos that go around defeating demons and hunting the ultimate demon king. But then a seventh dude shows up and everyone's like "Who's not a flower?" So they try to figure out who isn't a flower. This chick eating a lemon (raw) is like a princess or a bunny or something like that. But is she a flower? 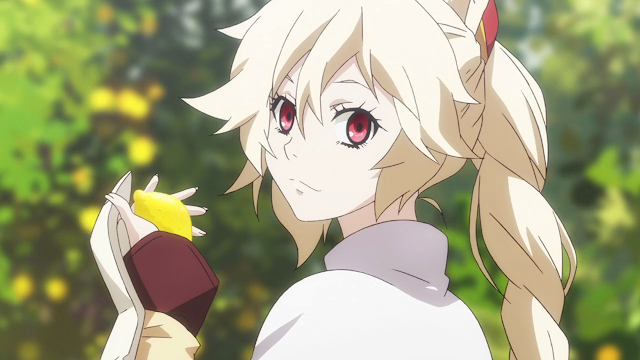 Find out by watching Rokka: Braves of the Six Flowers.